Just when I thought cake couldn't get any yummier, or fun to decorate, something new and exciting came into my life. They're called CAKE POPS and they're friggin' bananas. Frosted, chocolatey, icing-filled bananas. Making them takes almost no time at all and they are DELICIOUS! Like, eat-half-a-batch-yourself delicious (and by "half" I mean "all but three"). I've made two batches so far with mixed results. The first had white cake mix, which I dyed pink with colouring, and white frosting. Simply bake the cake, let it cool completely and then crumble it into a bowl. 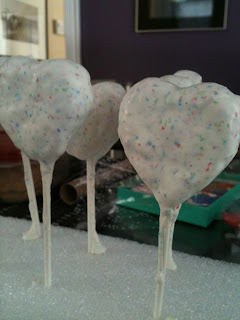 Then, add just enough icing to be able to make small balls. 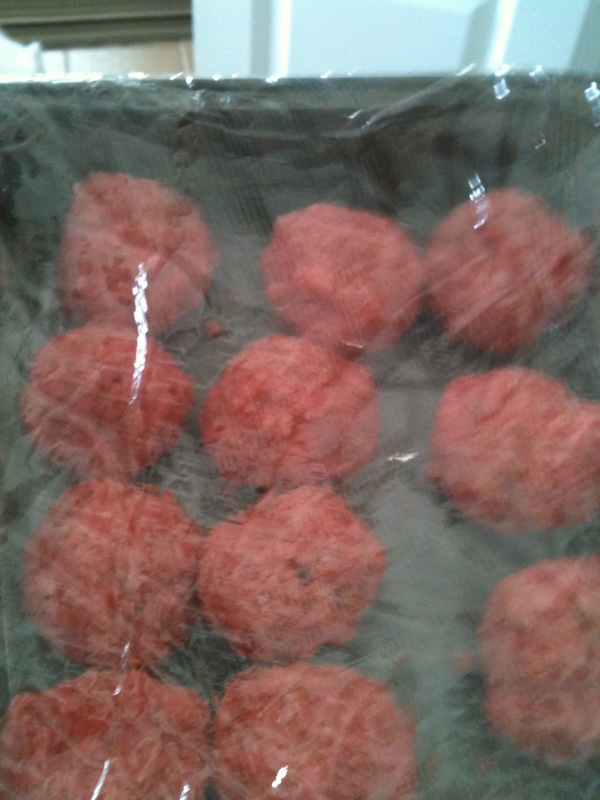 Shape the balls and then let them cool in the fridge or freezer. I used half of the cake and still ended up with 16 balls. Then, you shape the balls into whatever shape you'd like. I decided to try making hearts so I used a cookie cutter as a mold. Then, just heat up some melting chocolate in the microwave and dip! The hardest part was remembering to have a block of Styrofoam handy for drying. The chocolate wafers had sprinkles in them already. Of the 13 balls, only 6 survived the dipping process. The casualties were thoroughly enjoyed. The second batch I made had Devil's Food chocolate cake and cream cheese frosting. I must say that although they are just as pretty to look at, I preferred the white cake centre. Marc, however, liked them both equally. It could be a "tomato, tomahto" situation. I decided to leave the sticks out this time. And wrap them in cute little bags for Valentine's Day treats (don't worry, they're in the freezer). So the verdict is that CAKE POPS are super fun, relatively inexpensive and shutthefrontdoor fantastic. There's lots of websites that show you how to make them and there's also a great book. Some look VERY TRICKY, but I'm looking forward to them out! Those look great! 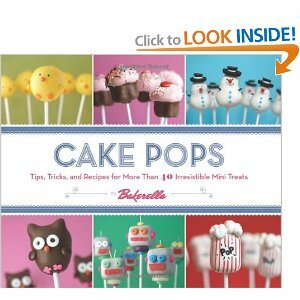 I've been wanting to get the Bakerella book! They seem hard though!! Thanks Nikki! The hardest part is NOT EATING THEM yourself (hahaha) although it is a little tricky to get an even coating. I added a little bit of vegetable oil after the chocolate melted and that helped a lot. You should totally give them a try!! Even when they don't work out, they're DELICIOUS!